Tax credits in Edinburgh, Scotland are something which are often underutilized mainly due to the fact the tax credit process can be intimidating and complicated for those not well-versed in the implementation. With the help of Swanson Reed and our excellent tax credit advisors, you’ll be able to have one of your best tax credit years yet. Read on to learn how with our help, you can greatly benefit your overall business and experience the growth and success you deserve. As the city of Edinburgh, Scotland continues to grow and grow, there will be many opportunities to take advantage of the tax credits for research and development purposes. With an increase in competition throughout nearly every industry, you’ll have to be sure to utilize every advantage you can to set yourself apart from said competition. This will in turn not only increase your bottom line when it comes to potential revenues and overall profit, but it will also increase your chances for future success within your industry. This success is achieved through taking greater risks and therefore being rewarded with greater potential rewards. All in all, the benefits of tax credits for your Edinburgh based company are plentiful and should be implemented as soon as possible to see some excellent results. 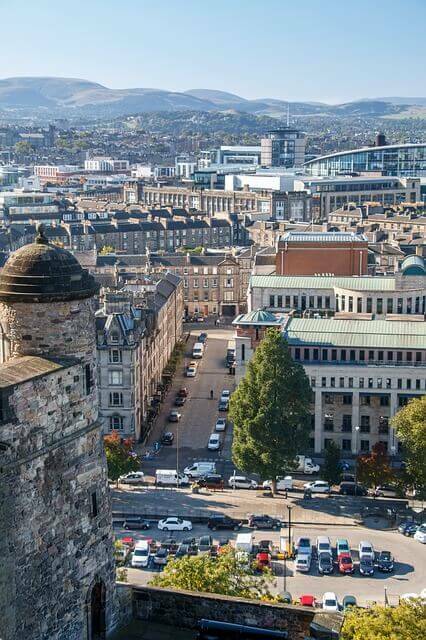 AS mentioned above, the city of Edinburgh will surely begin to experience growth through the efforts of the companies located within the city limits. What about the city itself? Will the entire economic ecosystem of Edinburgh improve from these efforts? We strongly believe so. The research and development tax credits are for companies and organizations seeking a way to offset tax liability and reinvest the savings back into their companies in the form of better equipment, skilled personnel, more advanced software, etc… All of these reinvestment opportunities allow the company itself to grow and develop more innovative products and services. When these innovative products and services are released to the public, you’ll find the overall productivity rates of the Edinburgh population to most likely be improved. When searching for a tax advisory firm who has the processes and implementations you need to succeed in your desired niche, Swanson Reed is here to help. There are many ways to go about processing and implementing research and development tax credit strategies, yet with our team’s excellent tax advisory experience, we know what works and what doesn’t. For this reason, and many more, you should contact us if you’d like to learn more about how we work with you and your company to achieve the best results. We’ll be sure to respond to your inquiry as soon as possible and we look forward to hearing from you soon!